JMM was started by Mason Keck and Seth Aldridge in 2005 in Burlington, NC. They began performing originally as a Power Trio, playing hundreds of shows and releasing an EP in 2007 and an LP in 2009, both with Grammy-nominated producer John Custer. Playing shows in NC, SC, VA, PA, NYC, SD, OH, and others helped the band to gain a following and hone their sound on the East Coast. 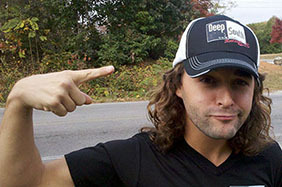 In 2010 Their good friend Tyler Schulz moved back to NC from West Palm Beach, Florida, and added his unique style of guitar and vocals. At this time, Will Sanders also began playing bass with the group. In 2011, the band moved to Los Angeles, CA to attend Musician's Institute and give the West Coast their unique brand and Southeastern Rock n' Roll. They are currently in the studio working on their third release. The Log Noggins’ dynamic, high energy performances spotlight each players strengths; chicken pickin’ electric guitar, melodic bass, thunderous drums, soulful keys, and screaming harmonica bring audiences to their feet! The band released their debut, self-titled EP on all streaming platforms in June 2017. They are now recording new material at Sedgwick Studios in Flat Rock, NC; expected to be released in the last quarter of 2018.